This may be a continue to the "photo your winter fun" thread before. The continuing saga in "big block bob's" (trible B's) garage. Keep in mind this was a condescending name given to me in the 1970's by a close friend who is still a very close friend!! If you can't laugh at yourself, trust me others will!! 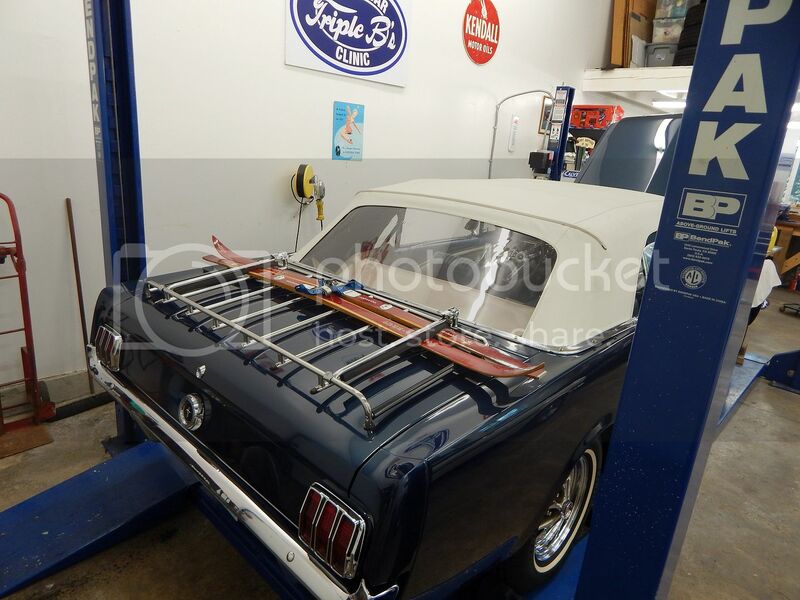 As we build the 460 for Val's Fastback I will keep you posted! A 1956 Ford Truck coming in next week and a 1964 Comet Caliente the following week. Never a dull moment!! 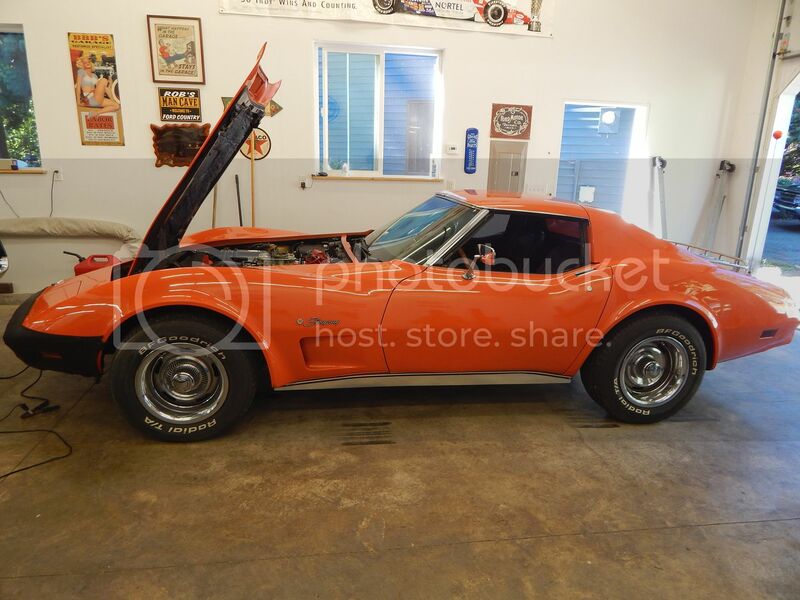 1977 Corvette into the garage to make her be she can all she can be! Used to fall on her face a die at a light! Not any more!!! 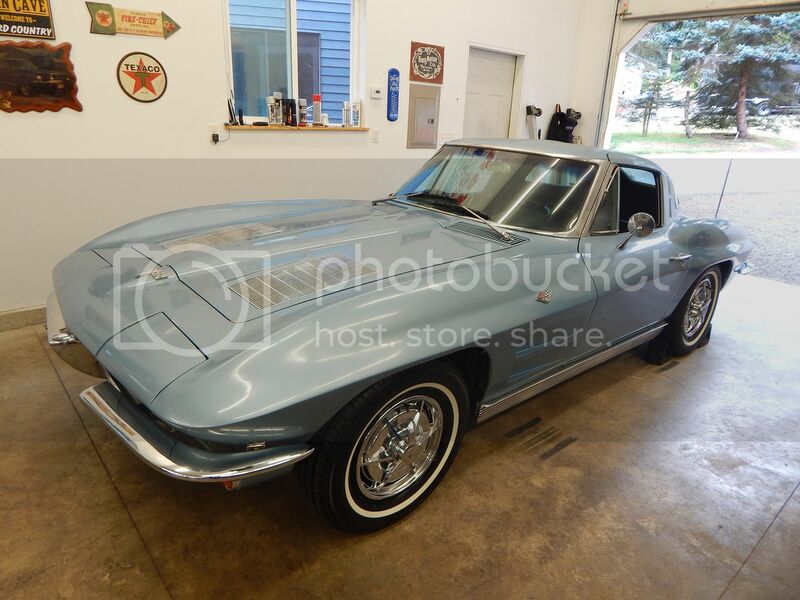 1963 Vette needing some help to be all she can be. Success!! another engine needing some advance and fine tuning! 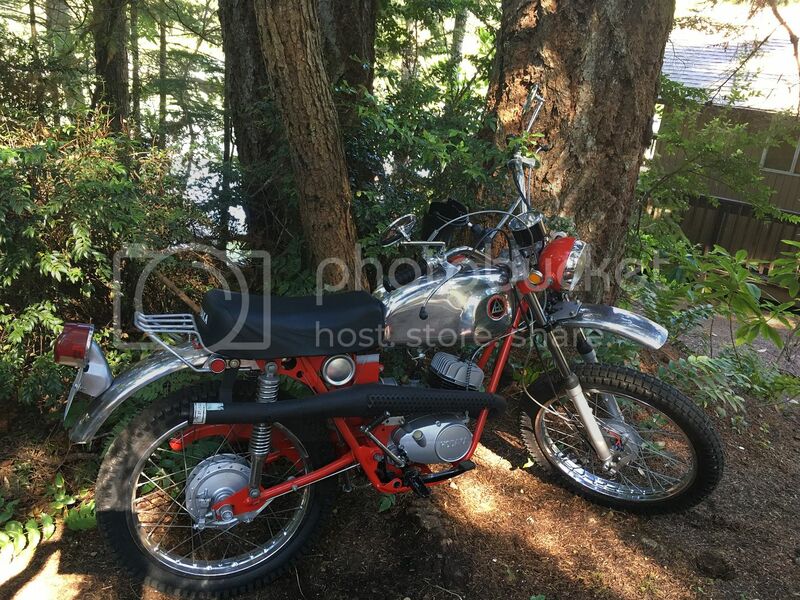 Can't forget my dorkey Hodaka bike to ride around the lake!! 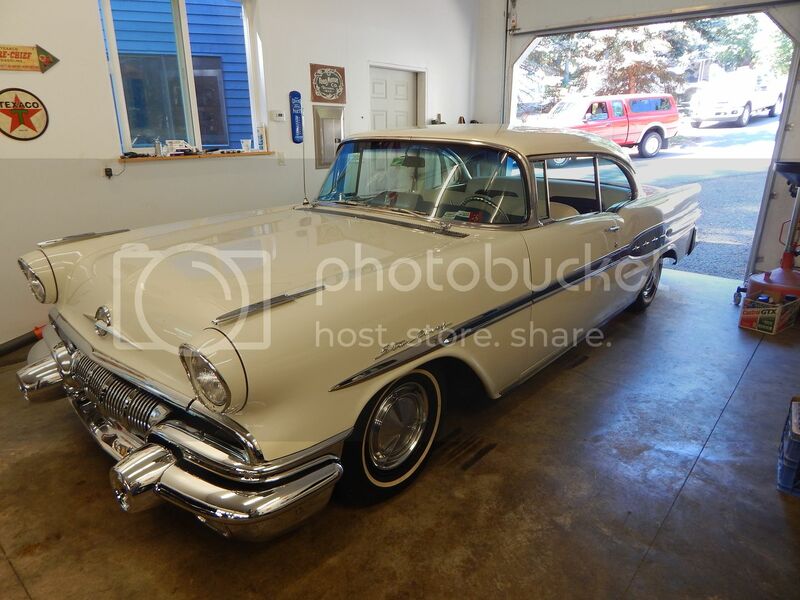 1957 Pontiac Star Chief. New PCV system and some Carter AFB tuning! Runs like a top now!! Post your garage fun here if you want to!! 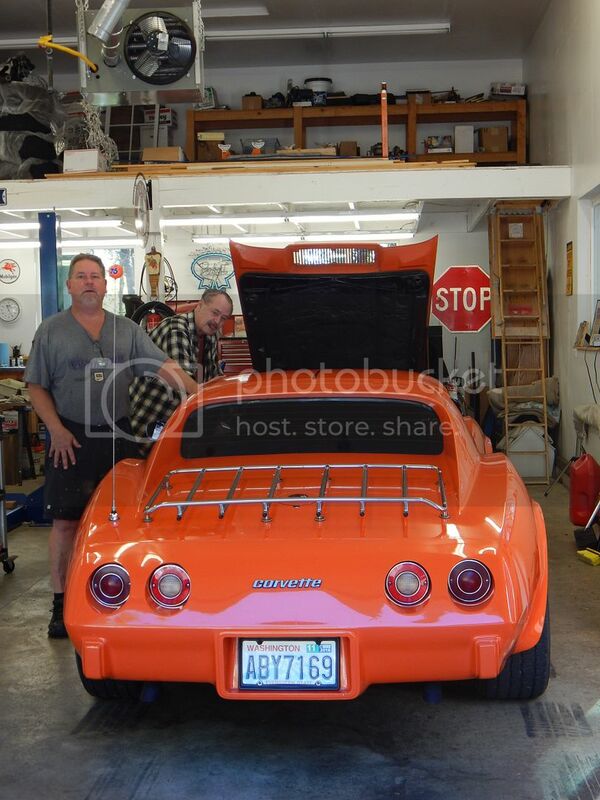 This car was purchased this year in Arizona for $97k. 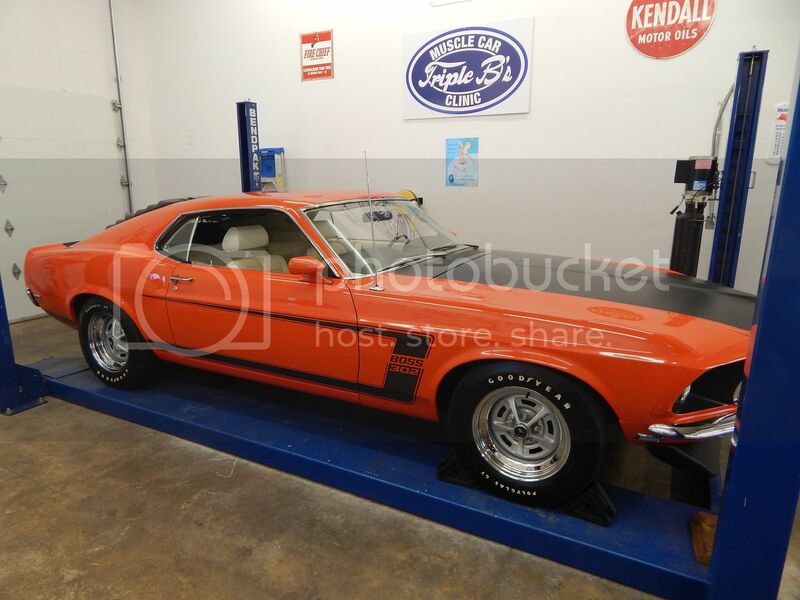 Real deal 1969 Boss 302 that has been a Gold level winner for the last 5 years. Ran like doo doo. A few days in the garage, a carb rebuild, and fuel system cleaning and she runs like a top!! This car is B E A U tiful!!! Did you and Joe ever work out a deal? Joe has other commitments right now. We may regroup in a year or so. 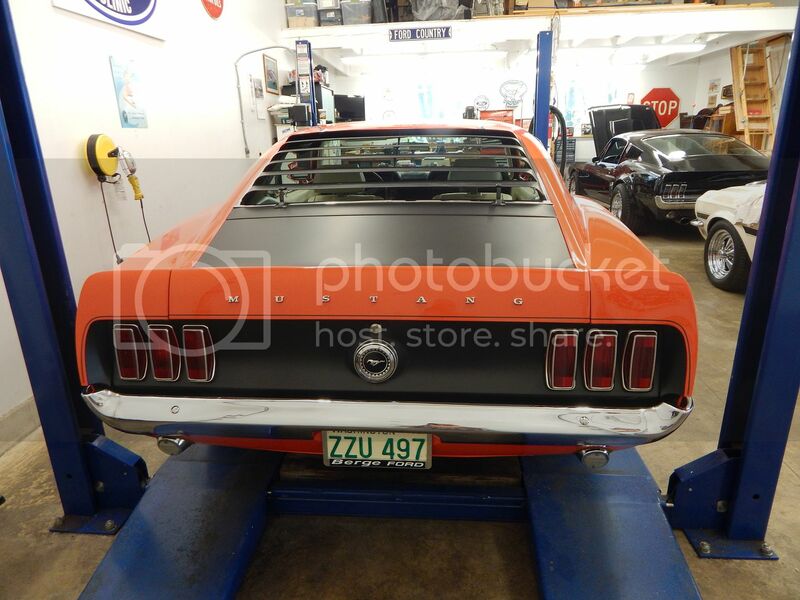 Not to mention that I am going to tear up the Fastback a bit and actually work on one of my own cars!! You guys can help me spend my money!!!!! Although I am darn good at it!!! Ready for winter!! One gorgeous 65 Vert, A little tuning and choke adjustment and she purrs like a kitten. So the 1964 HIPO 289 in Val's Fastback was taken away yesterday. 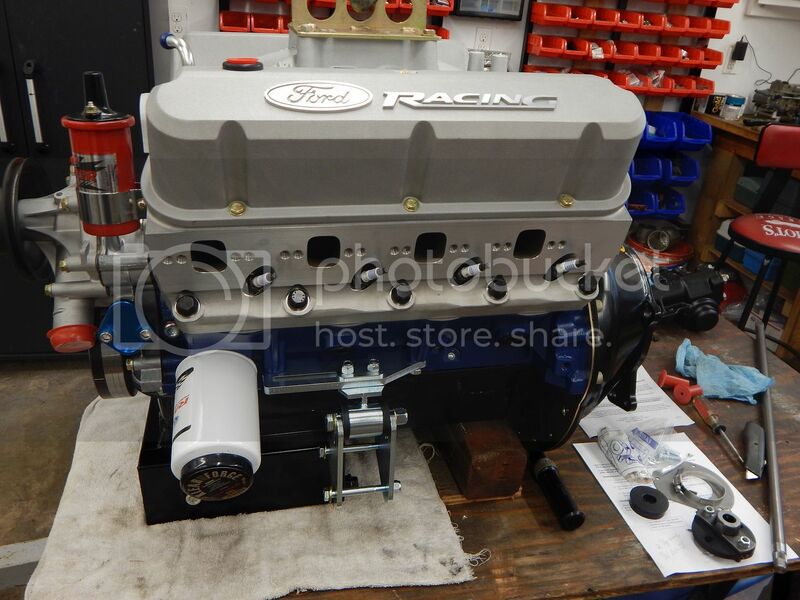 The 13 to 1 compression ratio, purpose built, 7,500 RPM, solid roller cam motor has a new home. But Rob is not going backward in the HP wars with brand X!! Here is his new bullet!! the first performance engine he has not assembled from the ground up! 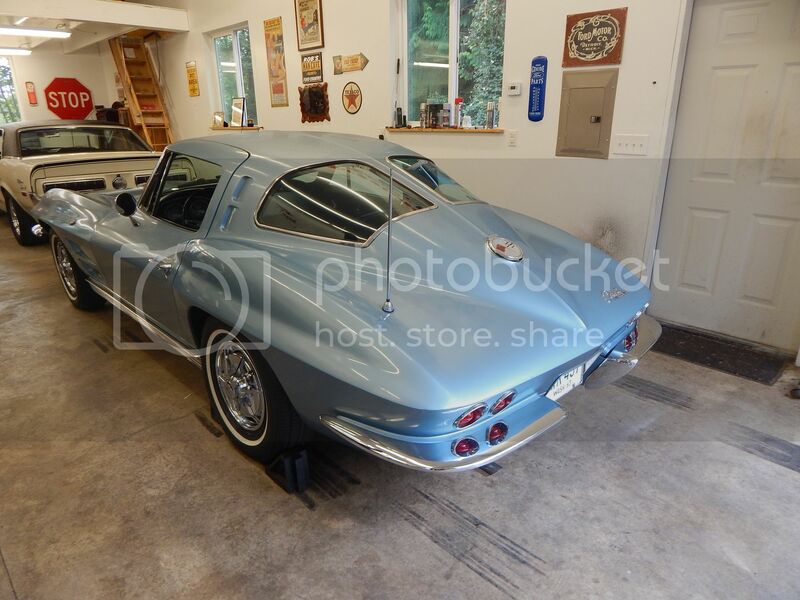 A few pics in the garage. Now to spruce up the engine bay and assemble this bad boy with an 850 double pumper and all the stuff behind her!! I am stoked and amped beyond measure!! Now you get to help me spend my money!!! ...assemble this bad boy with an 850 double pumper... Now you get to help me spend my money!!! 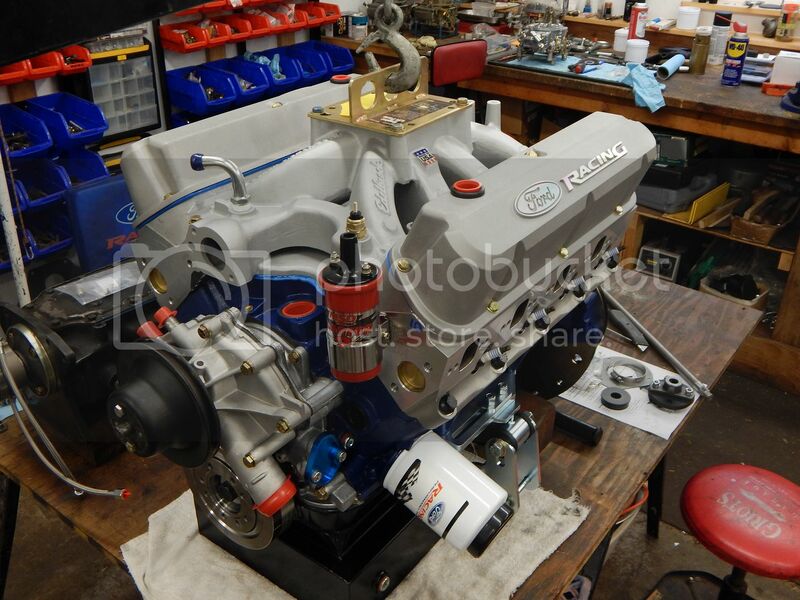 My goal may be to wait for FiTech to introduce their 8 Stack fuel injection!! I talked with them at length and they are building one as we speak! New motor has the Super Victor intake installed and the flywheel, clutch, pressure plate and bell housing installed. 850 Holley double pumper is ready in the background. Tildon hydraulic throw out bearing has the depth set and is ready. The bell housing has been centered on the crank pilot bearing via dial indicator and .007 offset dowel pins. Kind a fun learning experience. Tech line at Lakewood was not a lot of help. 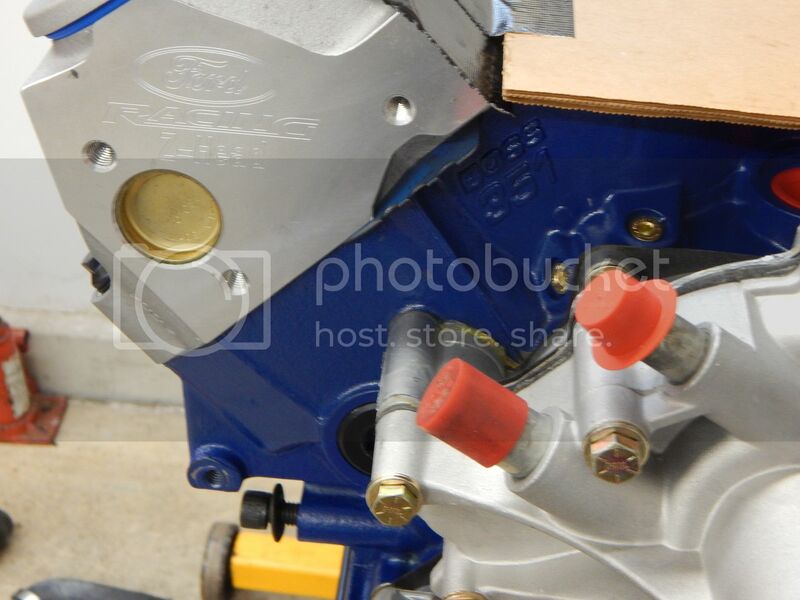 The engine came with yellow cad bolts on the water pump and timing cover and yellow cad soft plugs in the heads. Kinda liked the "industrial look" so yellow cad everywhere!! 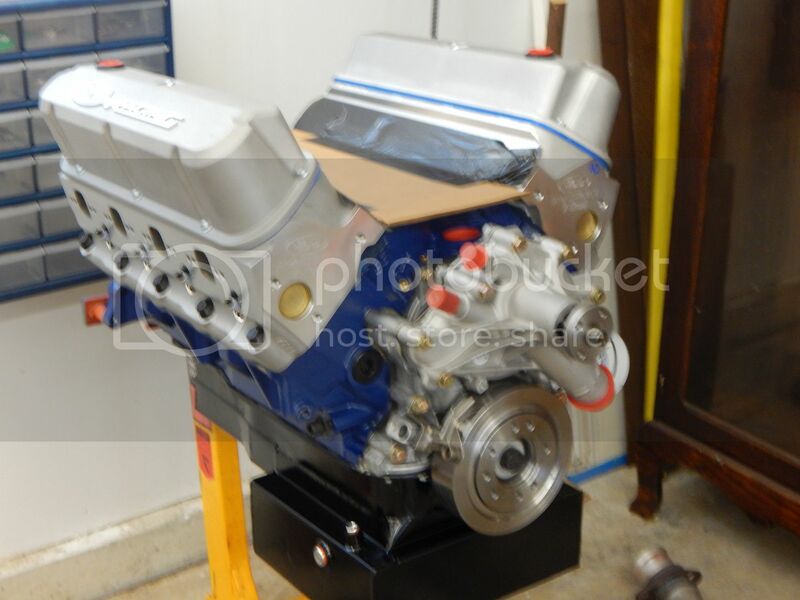 Borgeson power box is installed and engine compartment is cleaned and painted. 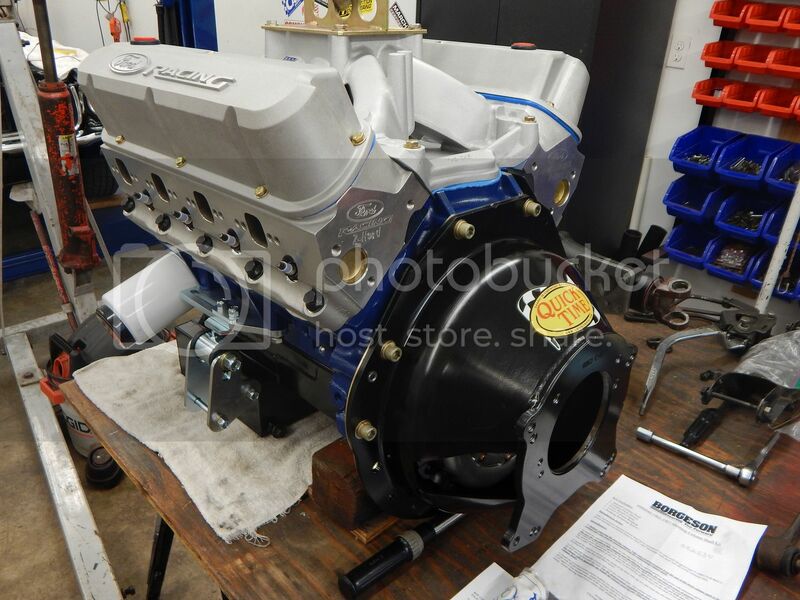 Hope to land the motor soon and mock up the headers! 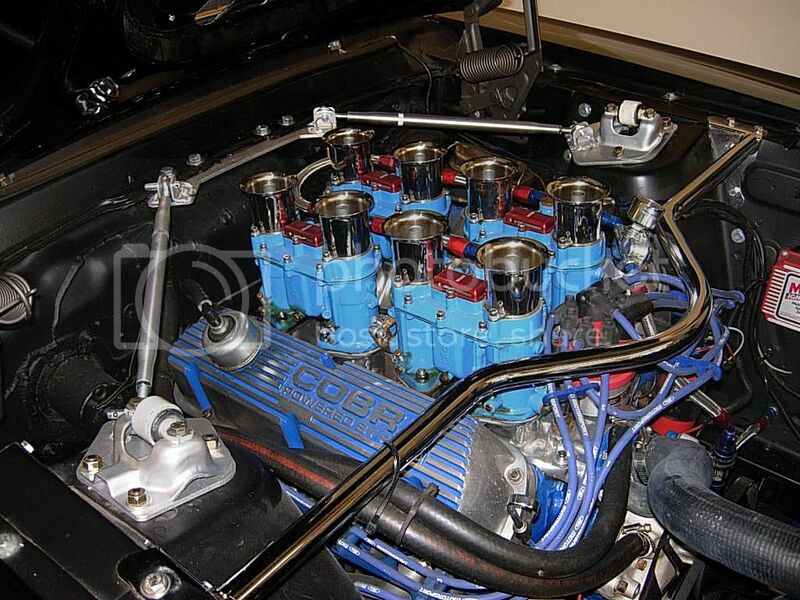 The Ford Z heads on this motor have "high port" exhaust openings that increase exhaust flow throughout the rpm range. 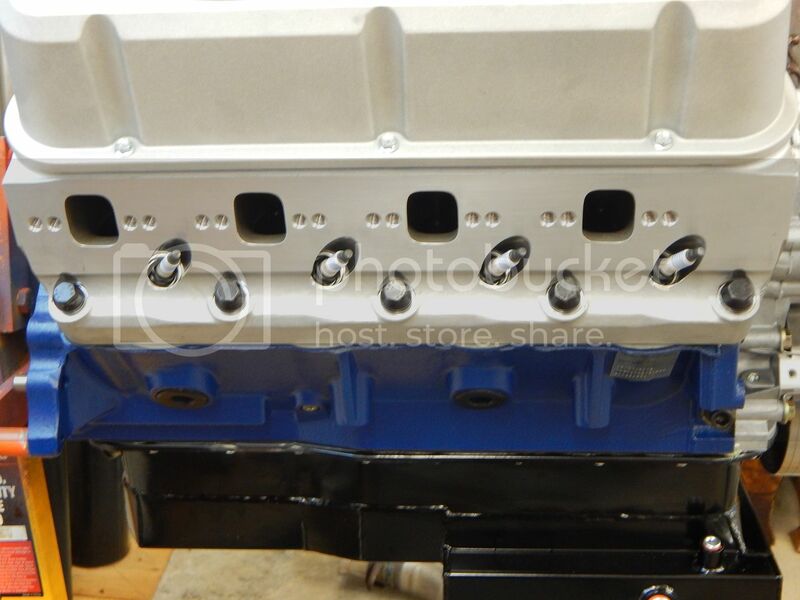 Stan Johnson at Ford Powertrain applications has set me up with a prototype long tube header that will benefit 67 to 70 Mustangs with this conversion. They are uncoated and I have Ron Morris adjustable motor mounts to assist in fitment. I feel like they will fit first time! Wow, that is going to be sweet! Our 295 50R 15 Firestone Firehawks will not stand a chance!!! Not that they did before!!! Finished the Borgeson power steering conversion about 5 minutes ago! Might land this bad boy in the next couple days!! Rob are you going to wear a G suit when you drive it so you do not black out? I hate it when my beer gets warm on the return trip!! !